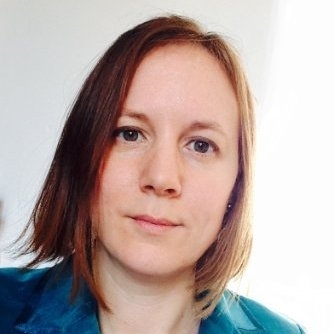 Introduction Sarah is a Clinical Psychologist specialising in pain management at Oxford University Hospitals NHS Trust. She offers private psychology sessions in Oxford at The Nuffield Manor Hospital, working alongside the Pain Consultants: Dr Cole, Dr Sawyer and Dr Phillips. She offers psychosocial interventions to individuals aged 16+ for managing persistent pain, fatigue and other symptoms associated with long term health conditions. She is also experienced in and offers private therapy for common mental health problems such as anxiety, depression, obsessive compulsive disorder, post-traumatic stress disorder and complicated grief. She is a registered therapist with BUPA, VitalityHealth, AXA PPP and Aviva. Sarah specialises in Cognitive Behavioural Therapy (CBT). She also uses Compassion Focused Therapy (CFT) and Acceptance and Commitment-based Therapy (ACT). Sarah completed her undergraduate studies in History of Art at Fitzwilliam College, University of Cambridge, graduating in 1998. After working in the arts publishing world for three years she decided to change career and gained her Graduate Diploma in Psychology from Oxford Brookes University in 2004. She went on to complete her Doctorate in Clinical Psychology from the University of Plymouth in 2009. She wrote her Doctoral research on men’s' experiences of Rheumatoid Arthritis which was published in 2011 in Musculoskeletal Care. Sarah is a Clinical Supervisor at the Oxford Cognitive Therapy Centre, Oxford University (2016 – present). In this role she provides weekly group clinical supervision to students of Cognitive Behavioural Therapy. Sarah also undertakes regular medico-legal work, providing reports in personal injury cases that have resulted in chronic pain. She is happy to be contacted to discuss medico-legal work. Sarah currently works in collaboration with Expert Psychological Reports, CBT Clinics, Psycholegal Experts and Trinity Diagnostics Ltd. Sarah is a Research Associate of the University of Kings College London (2017-present), contributing to Cognitive Behavioural Therapy efficacy trials in Irritable Bowel Syndrome, non-epileptic dissociative disorders, Medically Unexplained Symptoms, HIV drug adherence, Muscular Dystrophy and more.